A story of vulnerability and the will to survive another day. I could not have been more miserable in my entire life as I stood in the dark, black night, the sky now clearing after a heavy downpour. Earlier that evening we had been out with friends and I was driving our purple Neon car. An argument was getting so heated, as I drove us the 30 minutes back home, that I finally pulled over on the side of the road. I hoped to get out for a breath, to put a pause in the aggression and calm things down with a walk together through the dimly lit park just across the street. That is when the downpour started in more ways than one. My eyes brimming with tears that overflowed into the puddles of rain building at my feet. I was wearing my winter, light colored UGG boots, laced up in the front to my knee, with a soft, slick sole. I was not wearing the right boots for the rainy weather, but I did not care, I didn’t really care about anything anymore. It was July, America was celebrating Independence Day, and I was celebrating the darkest day of the year in Mayfield, NSW. I longed for home not only because of all of the wonderful 4th of July festivities, but this time of year, winter in Australia, always reminded me of Christmas in the snow with my family back home. But, that was not to be. I was trapped in a silent world of domestic violence. He agreed to get out of the car with me to cross the street, and take a walk in the rain that had just begun to break free from the clouds above. We had been married for five years, bound by the promise to God and others, “Til death do us part.” I had been thinking about having a child of our own for quite some time, a child to hold, to love on, one that would love me back. A tiny being to nurture and care for, to pour my attention into, to fill the void, the longing for family in a foreign land. I took a chance, I said, “When do you think we might have a baby?” The reply, “Not until you can get your emotions under control.” I was shocked! What? My emotions under control?! That is what he thinks!? So I am at his mercy of living with no emotions, no feelings, no laughter, no crying, no anything for how much longer? With no end date, because, I had been living like this for 5 years already. Hiding every sorrow, every feeling every emotion, keeping a straight face, always saying, “I’m fine,” to him when asked how I was, because he never wanted to know any differently. His cold, callused heart, always shoving every situation under the rug like dust, never to return to any topic, always avoiding, ignoring, focused purely on his own needs and desires. I could not take it any longer, it hurt too much too deeply, this God-given desire for children of my own one day would never be. I grew up with a happy family of eight, sure it had its ups and downs too, but nothing like what I had been enduring all these years. This was unbelievable! I was trapped in a marriage that made me feel like I was the most unlovable creature on earth, the ugliest woman that ever existed, and surely the saddest human being. Thoughts of suicide ran through my head on a regular basis, the fight or flight mechanism was always firing off in my brain. Depression was so real every day as I had no way out. If I earned money, he would take it out of my purse to use for himself, the bank accounts were in his name, I had no credit cards in my name, no access to money. He would hide large amounts of cash all over the house so I could not find it. The list of horrors goes on. As we walked, and I tried to reason with him, he shouted at me, “You need to humble yourself before Almighty God, and before me!! !” Again, shocked, devastated beyond belief, I fell at his feet in the rain, lying down on the wet earth shouting back, “Is this humble enough for you yet!” His angry reply, “Get up, you are getting your boots dirty!” Crushed, my spirit nearly destroyed, how could a human being be so cruel to the woman he asked to marry him? I was so confused, I had waited my whole life for a marriage of love, honor, respect, and I knew for sure this was never to be. The only way out would be by suicide, and believe me, I was fully prepared to take my own life! There is only so much misery a human being can endure!! I had loved God my whole life, I believed in Heaven, I knew that if I could just end my life, God would wrap me up in His arms and I would never hurt again! He marched off to the Neon across the street without me. He then climbed into the back seat and crouched down really low. I could only see his eyes peering over the edge of the back car door, stalking me from a distance. My hair on my head began to crawl as I felt his black eyes glaring at me from across the street. I turned away from him, my back vulnerable for an attack. I looked way off into the distance, I stood there for what seemed an eternity, praying to God, tears spilling down my face. The sky was beginning to clear. In the black, moonless night, the stars began to burn bright. A little shadow of hope washed over me, off in the distance fireworks were being shot off in celebration of the American Independence Day. My heart was warmed for a moment, the longing for home so great that it took the will to commit suicide away just for the time being. That moment vanished, as I stood in my reality. I did not care what happened to me any more! As the night wore on, a man in an old pickup truck began to circle the park, watching me, stalking me. Again and again he would pass by, not seeing the man in the Neon car, figuring I was all alone in the park. Time ticked by, I did not want to get back in the Neon to drive home, only to be trapped in my house with my husband. I was so scared, frightened to the core, my legs were beginning to feel like jelly, ready to give out from underneath me at any moment, my heart was giving up, the will to go on completely stripped from my soul. The man in the truck continued to circle the park, creeping by as I watched him from the corner of my eye. I was frozen in time, afraid to move. I began to reason with myself that either way, getting raped or going home to a man who was going to destroy me, mattered no more. I began to pray for courage, for strength, for the will power to overcome the darkness of my soul and the night. I turned and walked to the car, still seeing the beady, sinister eyes of my husband peering at me from a crouched position in the back. I wanted to vomit, to vomit every thought, every hurt, every sorrow, every injury caused by this man. I got into the front seat to start the car. He said, “Do you know that man drove by you over 20 times?” Again anger began to fill my heart at the thought of him merely counting the times I was circled by the stalker rather than come to my rescue like I had hoped he would. A longing hope that he would shift his mindset and want to take care of the woman sitting before him. It would never be. He then proceeded to tell me that I needed to apologize! I started the engine up to drive us home. He had no license, suspended from too many DUI’s and aggressive driving, so I was the one forced to take us everywhere, still trying to figure out how to rid my habit of driving on the right side of the rode from the left side of the car. Now, driving on the left side of the rode and steering on the right side of the car. All the while being told how to drive, how fast to go, when to pass, when to go, when to use the windshield wipers, when to turn on the car lights, when to turn the heat on, when to turn the ac on………and having the emergency brake pulled up by him on a few occasions while I was driving along the highway. What an idiot!!! So many times, just like tonight, I could not see to drive for the tears stinging my eyes, but told to continue, even though telling him….”I can’t see,” my eyes full of pain, of tears so thick. Finally, we creep up towards the mansion we were care-taking. The acre lot enclosed all around in a massive black iron gate. A code to get through the 12 foot high double gate entrance. Our little cottage hidden in the back corner of the elegant gardens. The gates locked heavily behind us, my heart tightening in my chest, my palms sweating, an episode of anxiety fogging my mind as I drove forward to the next gate, much smaller than the first. The gate again opens by code and as I drive through, the sideview mirror brushes against the gate! The voices in my head just as loud as the vocal explosion coming again from the back seat driver! Angry at me for grazing the mirror. I am shaking like a leaf now, fear of what he might do to me again! Tears threatening, burning in my eyes, my throat is so thick and my chest so tight I can hardly breathe anymore, willing death upon myself to just end the misery. But, death does not come, and I am forced to get out and march toward the house, feeling like a gun is pressed into my back as his eyes watch me from behind. Independence Day for some, a murderous trap for others in a marriage bound by law. I hate my life! Why should anyone endure such misery, such brutality?! The voices in my head, a constant companion, they never comfort, only condemn, criticize, and destroy just as loudly as the voice of the man I was married to. After 10 years of horror, and three kids later, I finally broke free! And that is why today, I share with you from my heart! From an escape to a second chance of life. 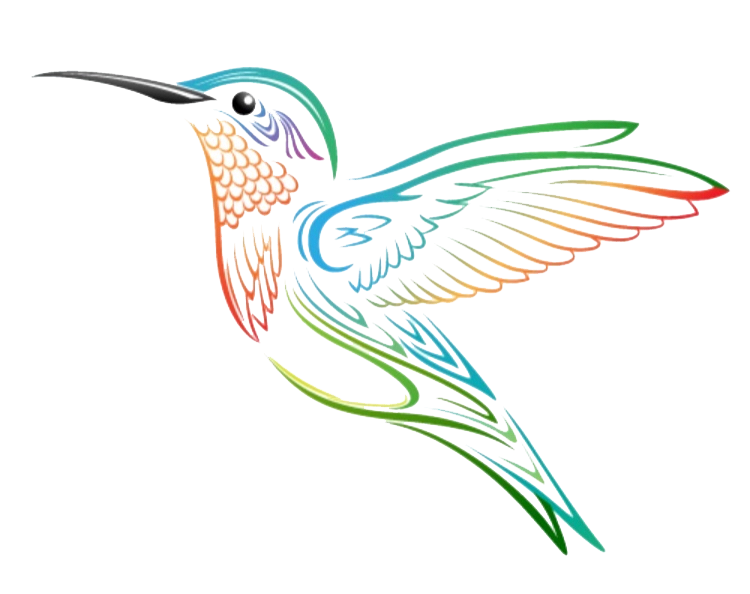 To live to the fullest, to open Hummingbird Yoga, a studio that reaches the hidden recesses of the heart of all who enter. Those who are looking for healing from physical, emotional, and mental anguish. As well as a place for those who are absolutely loving life and excited to try something new, to challenge mind, heart and soul to exceed limitations placed on self. I have written many true stories of my ventures. My escapes, healing, recovery, being vulnerable to you, the reader. All in hopes of encouraging you in your walk of life to stay strong, stand up for yourself, for your truth, to hold your head high, to walk with humble pride, smiling at total strangers, inspiring others with the stories of your life, and loving the journey you are on. If you are not loving your journey, jump off the crazy ride and get on a new path! NextChristmas Child, I Love You!